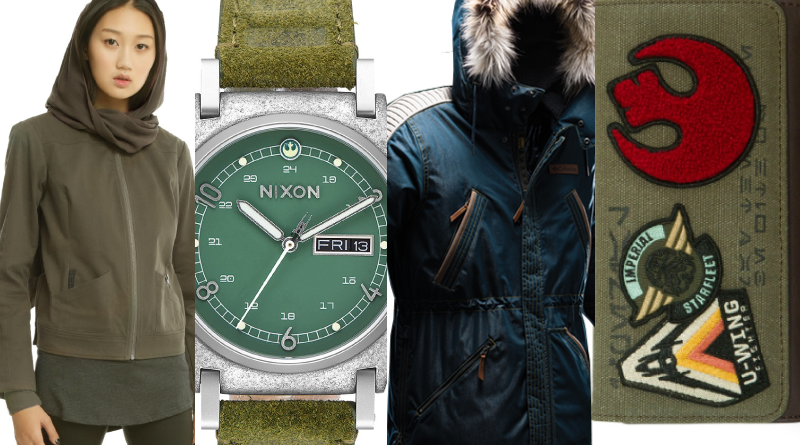 New geek fashion finds slowed down for December with many a gift-buying already in swing, but there were still a few cool new items thanks mostly to the premiere of Rogue One: A Star Wars Story. Let’s check them out. 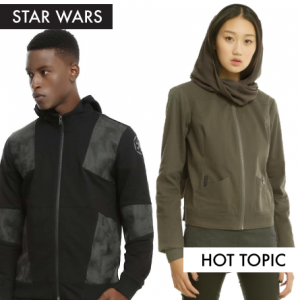 Hot Topic launched their Star Wars Rogue One fashion collection with items intended for both guys and the ladies. The nine pieces included jackets, shirts, two sweaters, and a dress. A majority of the designs were inspired by the Rebel-side and that was nice to see as often designs from retailers default to Imperials and their various helmets. Prices range from $32.90 to $83.90. I have to admit, I was less than impressed when the photos of the clothing first appeared online. I’m am fan of earth tones, but my first impression was most of the collection looked kind of generic and drab. After seeing the girls’ apparel in person, I changed my tune on a few of them. It was a pleasant surprise. Keep an eye out for my full review coming soon. 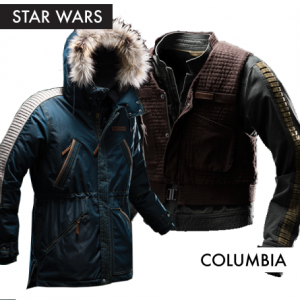 Columbia also launched their own Star Wars collection. At the beginning of the month I shared a preview of the three Rogue One jackets before they went on sale. The prices ranged from $400 to $500 with one jacket – the Captain Cassian Andor Rebel Parka – boasting the most of Columbia’s fabric technology. There’s been varying fan response in regards to the price. Between the price and the limited quantities, they definitely haven’t been the most accessible Star Wars jackets. 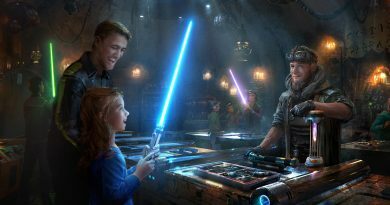 As far as getting something that looks very close to what characters actually wear in the movie though, there haven’t been many offerings as good as Columbia’s Jyn and Cassian coats. After seeing it in person I found the Imperial Death Trooper Jacket to be not as loud of a design as it originally looked in photos. It’s still not exactly subtle, but it looks a little nicer and higher quality when it’s in regular lighting conditions. I’ll be sharing a closer look at the Columbia Jyn Erso jacket in January. As of this posting all three jackets are sold out online but may still be available in select stores. 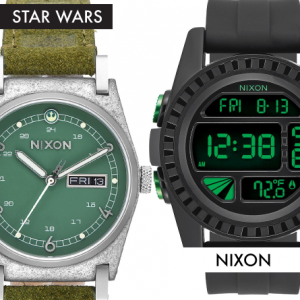 Nixon is back with more Star Wars watches. The latest group, unsurprisingly, are all themed for Rogue One. These four watches are inspired by the Scarif Trooper, Death Trooper, Cassian Andor, and Jyn Erso with pricing from $150 to $275. The Imperial designs are polycarbonate and silicone while the Rebels designs are stainless steel and leather. Cassian’s is specifically designed with a military influence and for outdoor activity. Both Cassian and Jyn feature a U-wing second hand. And the Jyn watch has an especially cool additional feature – the Death Star plans are printed on the underside of the watch band. 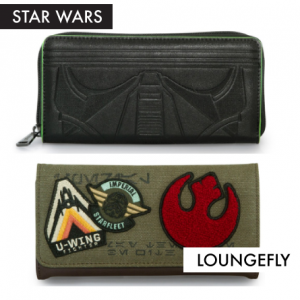 New Rogue One accessories also debuted via Loungefly. The December release included three wallets, a coin/cosmetic bag, one backpack, a dome bag, and a tote. The items retail for $10 to $75 dollars. Two bags feature the Deathtrooper in all black with a green trim while the rest of the bag go with the earth-tone, military, utility fabric look. Several feature patches. Some are Rebel Alliance-themed only and some feature symbols of the Rebels and Imperials. I especially like the touch of the Aurabesh on one of the wallets and the tote. 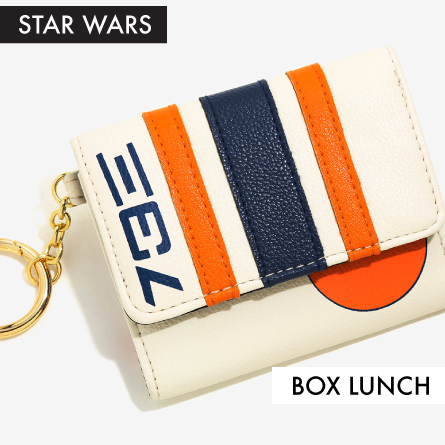 Two new Rey-inspired items popped up at Box Lunch. 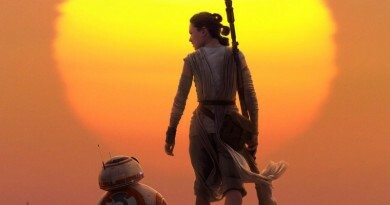 They’re a bit different in that they’re designed to look like the Rebel pilot helmet Rey keeps at her home in The Force Awakens. The Rey Rebel Bag retails for $49.50 while the smaller Rey Rebellion Tri-fold Wallet is $18.90. The Aurabesh on the bag is from the helmet as well. 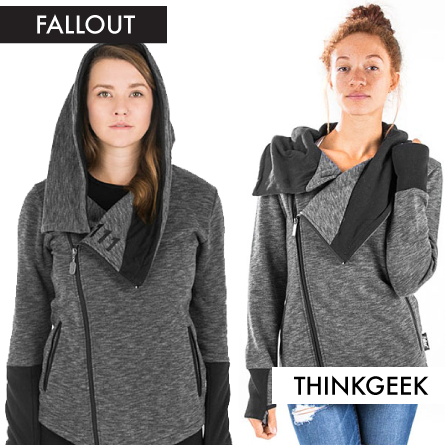 In outside of Star Wars news, ThinkGeek has added some stylish Fallout hoodies to their site. Both the Fallout Heather Vault-Tec Ladies’ ANGL Hoodie and the Heather Vault 111 Ladies’ ANGL Hoodie (both $59.99) come in a heathered gray for those who want something more subtle than the game’s blue and yellow. The cross-body zipper and hood that converts into a cowl neck elevate the design from a typical hoodie. What on Earth recommended this Micro Machine Death Star necklace for Rogue One viewings. The Ashley Taylor & Her Universe Ewok cardigan has been spotted on the Shop Disney Parks app. 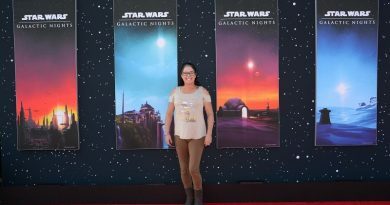 And HerUniverse.com is set to re-launch sometime in January 2017.